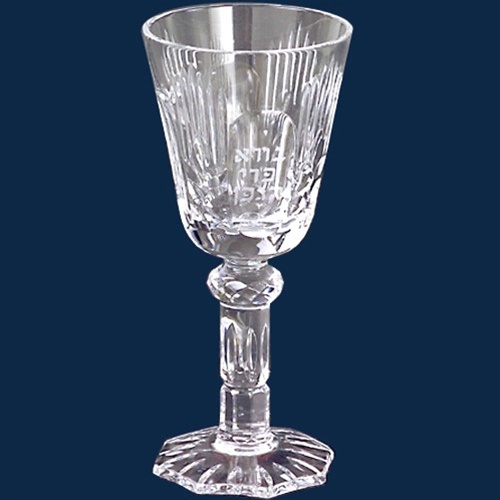 The Godinger Kiddush Cup is exquisitely crafted out of 24 percent full lead crystal. 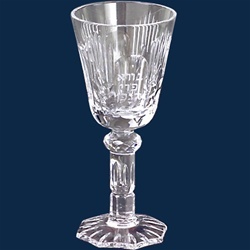 Etched with the Hebrew wine blessing — "boray pree hagafen". Luxury velvet gift box.